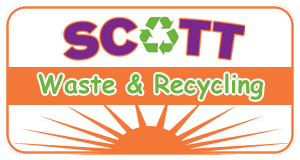 Request a free quote from Scott Waste Services for your next debris hauling project. We offer affordable rates and excellent service for Dumpster Rental in Phoenix, Mesa, Tempe, Scottsdale, Chandler and surrounding cities. Call us at (602) 438-2243 or use the form below. Sunday: Closed, please use Contact Us below.